Cult Motorcycle Royal Enfield Takes on The World From India, Oldest Continuously Produced Motorcycle in the World. The Royal Enfield Bullet, often described as the oldest continuously produced motorcycle in the world, is a cult product for enthusiasts who love it for its vintage feel as much as for the thrum of its engine. Muscular and pliant, the Bullet — an Indian-made avatar of an old British brand — has found renewed popularity over the last few years, as leisure motorcycling in India has blossomed. 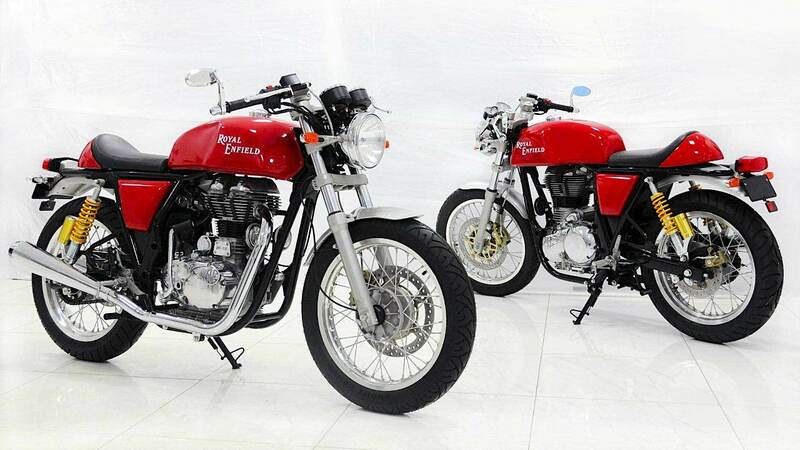 Its manufacturer, Royal Enfield Motors, sold almost 175,000 motorcycles —Bullets as well as three other brands — in 2013. The company is now looking to push harder into British and American markets, hoping to follow in the wake of other Indian motor vehicle manufacturers that have competed hard with overseas brands even as their peers in other industries have struggled. 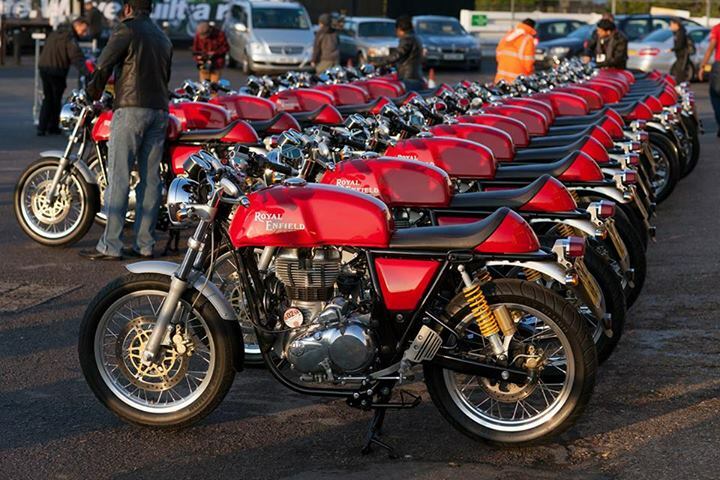 Royal Enfield’s newest model, a midsize “cafe racer” called the Continental GT, was introduced at an elaborate event in London in September. “It’s the first bike that we’ve developed keeping the world market in mind,” said Siddhartha Lal, who is credited with turning Royal Enfield around. Royal Enfield’s newest model, a midsize “cafe racer” called the Continental GT, was introduced at an elaborate event in London in September. Mr. Lal, age 40, is the chief executive of Eicher Motors, a manufacturer of buses, trucks and tractors that owns Royal Enfield. Uncommonly for an Indian executive, he sports sideburns and wears jeans and a bomber jacket to meetings. He was riding a Bullet when he was in university, well before Eicher, under his father’s management, bought Royal Enfield in 1993. The sale price was “just pennies,” Mr. Lal said. Eicher reported revenue of more than $1 billion in 2012. 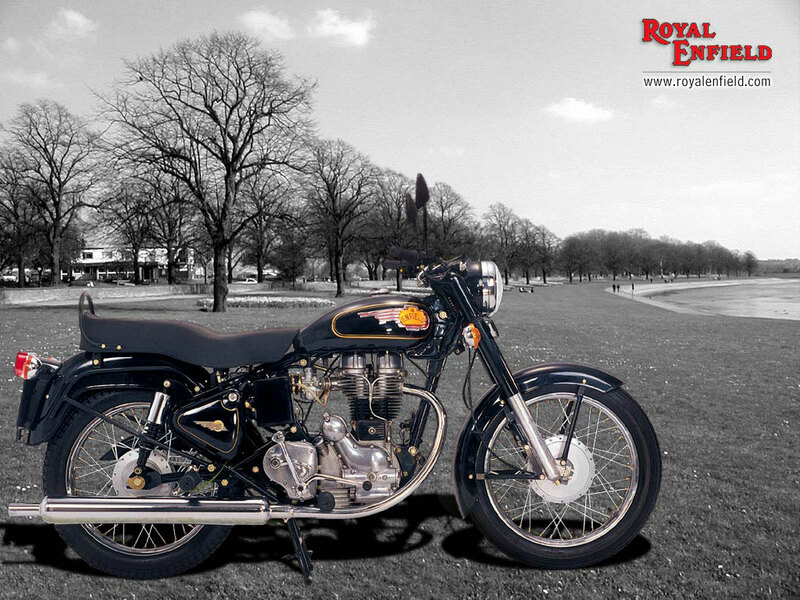 The Bullet was first produced by a British firm named Royal Enfield, but after that company shut down in 1971, its Indian manufacturing unit – in the city of Madras (now Chennai) – bought the rights to the name and continued to produce the Bullet. Mr. Lal set himself to turn Royal Enfield around in 2000, when he was 27, and the company first sputtered and then roared back to life. Dan Holmes, who fell so in love with a Bullet he saw at a trade show that he opened a Royal Enfield dealership in Goshen, Ind., recalled how the quality of the motorcycles improved from the late 1990s through the 2000s. “Eicher started investing real money into their bikes,” Mr. Holmes said. The electric start grew more reliable while fuel injections and transmissions were revamped. 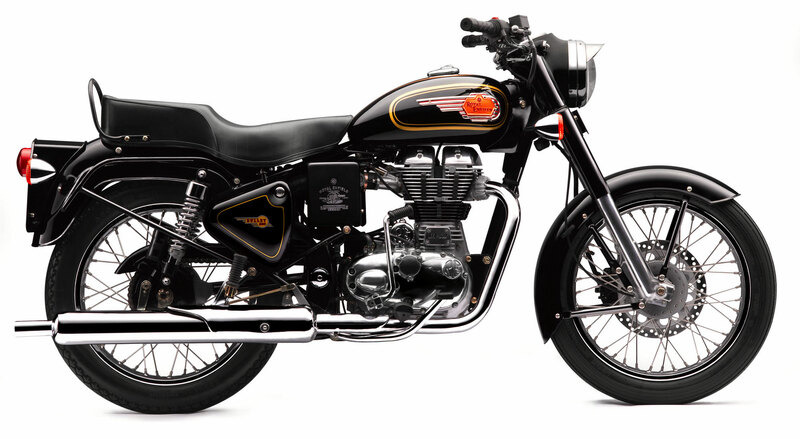 The Royal Enfield motorcycle, whose basic profile changed very little over the years, appealed to buyers, he said, because one could tinker endlessly with it. Jay Leno owns one, as does Billy Joel. Mr. Holmes himself owns what he calls “the two most modified Royal Enfields in the world,” which he used to set speed records at the Bonneville Salt Flats in 2008. As one of perhaps seven or eight exclusive Royal Enfield dealers in the United States back in the early 2000s, Mr. Holmes sold his motorcycles for $3,500 to $4,000 each, taking custody of them in dribs and drabs from a national distributor. In 2003, his best year, he sold 35 Royal Enfields. Exports remain limited, although they are growing, and Mr. Lal is ambitious about scaling up. Last year, Royal Enfield exported 3,500 motorcycles. Six hundred of those went to America, its biggest overseas market. Back in India, however, Royal Enfield has caught the beginning of a wave in leisure motorcycling. Kumar Kandaswami, a senior director at Deloitte Touche Tohmatsu India, said a split had emerged in the market, between riders who wanted light motorcycles just to commute and those who wanted the thrill of the machine itself. The vastness of this market attracted manufacturers like the British Triumph, which opened in India in 2013, and Harley-Davidson, which arrived in 2009. “Before we came, if there was any passion among motorcyclists at all, it was among Royal Enfield owners,” Anoop Prakash, the managing director of Harley-Davidson India, said. “People underestimated the market, thinking that, at our level, sales would be fewer than 800 bikes a year across the country.” Since July 2010, more than 4,000 Harley-Davidsons have been sold in India. Royal Enfield, whose motorcycles cost $1,500 to $2,500 in India, positioned its vehicles precisely halfway between cheaper, lighter commuter bikes and the heavier, more expensive class represented by Harley-Davidson. The midsize is becoming a point of convergence. Commuter motorcycles are getting larger and more complex; from the other direction, Harley-Davidson recently unveiled its lighter Street 500 and Street 750 models. Royal Enfield has been the biggest beneficiary of this boom in India, selling 50,000 bikes in 2010 and growing by more than 50 percent year-over-year since then. At that hectic pace of the last decade, quality issues often wore down the reputation of Royal Enfield. Rishad Saam Mehta, a travel writer and Bullet enthusiast who calls it “a meditative motorcycle —on a Bullet on the highway, you feel alone and happy,” also said that his Bullet would negotiate the Himalayas perfectly well, but then would break down in a trip to the grocery store. As the company expanded its ambitions and faced Western manufacturers, it realized the need to make its motorcycles less temperamental. The first phase of a much-needed new plant near Chennai, spread over 50 acres and built with an investment of $24 million, opened in April. Together, the plants will aim to produce 250,000 bikes in 2014 and eventually 500,000 a year.